Ms Gail, Lauren and Tiffany had a great day yesterday helping the Dyersburg Preschool Kids celebrate National Spaghett Day. 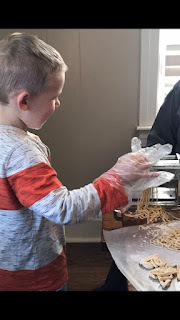 Each of the kids got to make noodles to take home with instructions to lay them out for 2 hours to dry then they could cook them and eat them. Needless to say this was quite a hit. I heard a rumor that Santa is coming early to Dyersburg's #1 preschool. 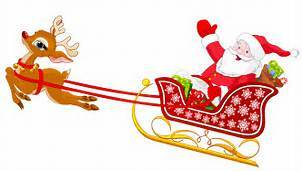 He is the guest of honor tomorrow morning at 9am during the annual meet Santa pancake breakfast for the kids at the preschool. 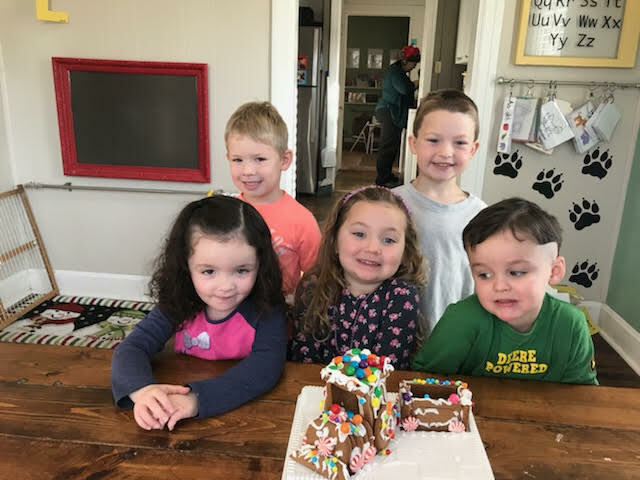 These Dyersburg preschoolers loved building a gingerbread train at The Preschool Place just a few days ago. Ms. Gail,Ms Lauren and Ms Tiffany are always discovering ways to stimulate the children's thinking. 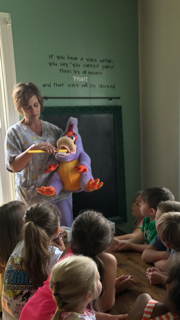 Mrs. Stephanie from the health department agreed to come and teach these Dyersburg preschoolers good oral hygiene. Thank you Mrs. Stephanie for coming to The Preschool Place. 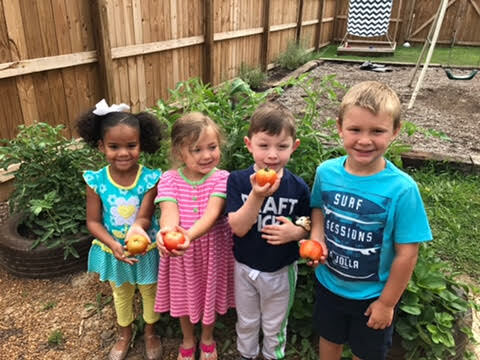 Can you tell these Dyersburg preschoolers enjoy gardening? Back in the spring they planted a garden including one tomato plant(in an old tire) and the tomatoes have been abundant. 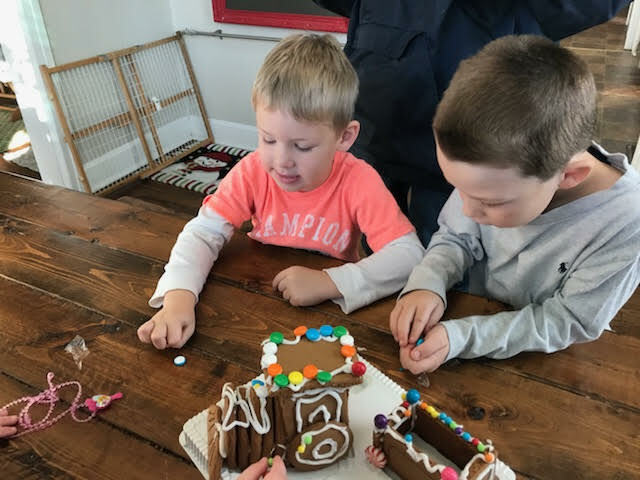 The problem has been that the kids keep picking the green ones until today. 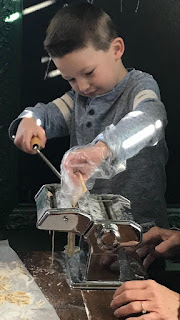 The kids at The Preschool Place recently conducted a water buoyancy test with clear water and salt water. 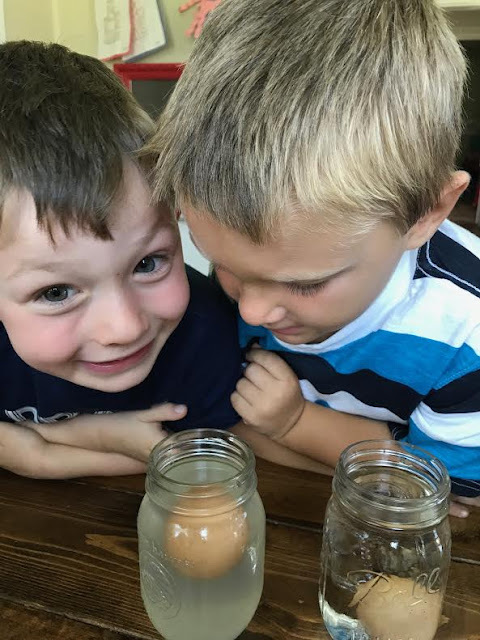 they were astonished the egg almost hovered in the salt water. 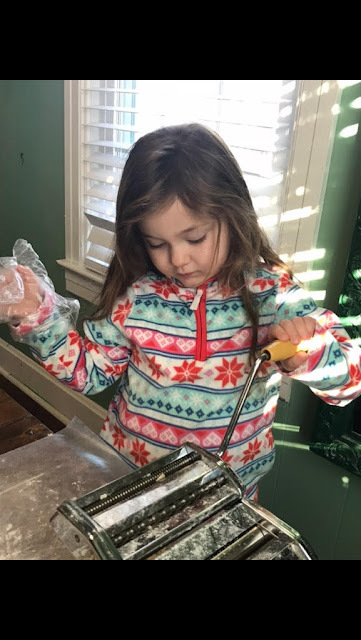 The staff at the Preschool Place which is a Dyersburg Preschool regularly challenge the young students minds with activities like this. If you need more information about the school please call or text Gail at 731-377-5108. Lets call this picture Dyersburg preschool speech making 101. 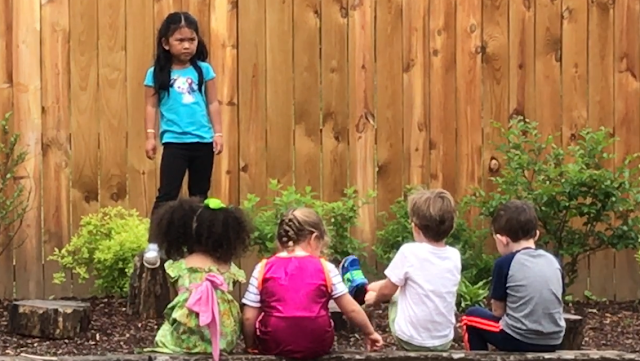 Not only do the kids enjoy pretending to give speeches "from the stump" but they also sing and dance from the lowly perch. 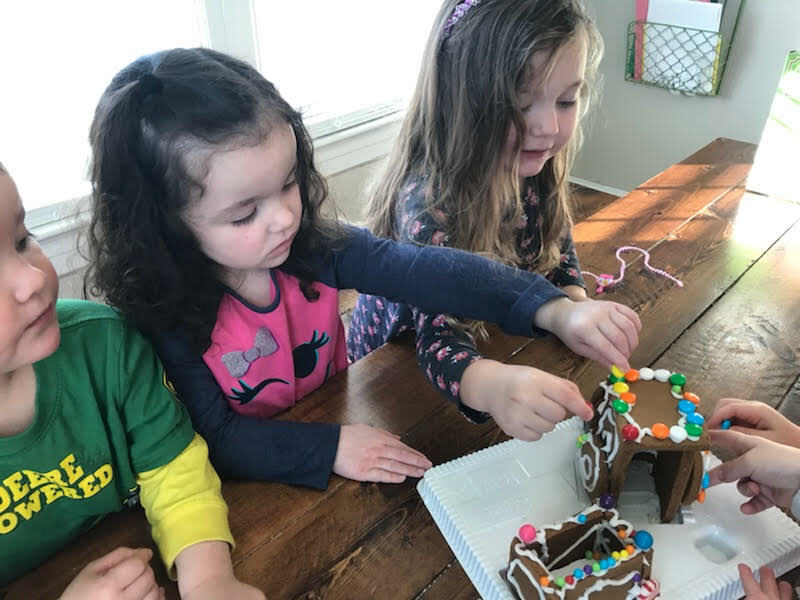 The Preschool Place is in full swing this summer and the kids continue with their various classes taught by real teachers and of course teachers from their peers!